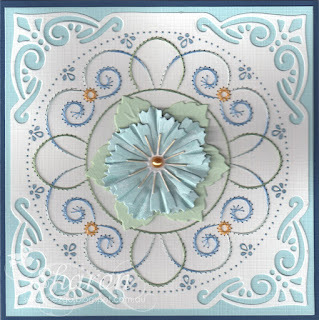 Ann's Paper Art will be including a free pattern with this months HJ 96, so why not go along and visit the webshop. At the moment Ann has a big sale going. 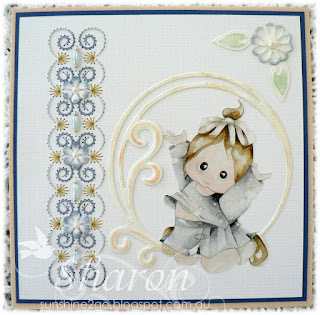 The second card is also from the same pattern although I have adapted the pattern. This is a versatile pattern and I can see it being used a lot. I have stitched the pattern with Mettler Polysheen threads, 0542,3971,3853. Small beads have been used along with seed beads. Nellie Snellen floral punch FLP034 which has been inked slightly on the edge, pearls have been added to the centre. Nellie Snellen floral punch FLP034 with has been slightly inked and pearls added to the centre. 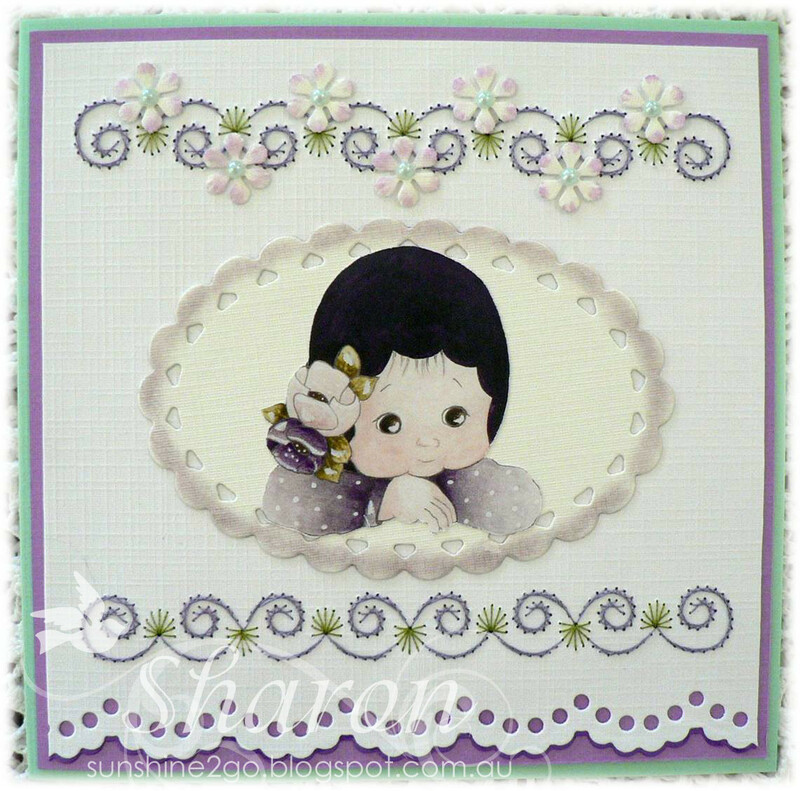 At Ann's Paper Art we make exchange cards and this month I made one for Petra (pst). The pattern stitched is a2045, hj 72. and is available from Ann's Paper Art. It includes stitching and Hobbdots. The threads used are Mettler Polysheen, 0622, 3641, 5822, 3971. Hobbydots series 1, mirror ice. The corner die is by Nellie Snellen MFD027. The flower is Cheery Lynn, Sweet William D137 which I have pinched to make the petals look real. The stamen is also a Cheery Lynn die from the Build a Flower #1 collection. One pearl was added to the centre. The leaves are from the Leane Creatief 45.8510.